Extensively remodeled!! Enter this bright and fabulous 2 bedroom/1 bath home. New carpet and vinyl plank flooring throughout. Upgraded modern and sleek cabinetry in both Kitchen and Bathroom. New laminate counter tops in kitchen and bath, all new stainless appliances, wow!! New plumbing fixtures, ,hardware, custom tile surrounding tub. New interior 6 panel doors, fresh paint and window blinds. Bonus!! In-house, new washer and dryer.Relax in your cozy family room with wood burning fireplace or dine under your covered patio with peek a boo mountain views.HOA includes all utilities with the exception of internet and cable. 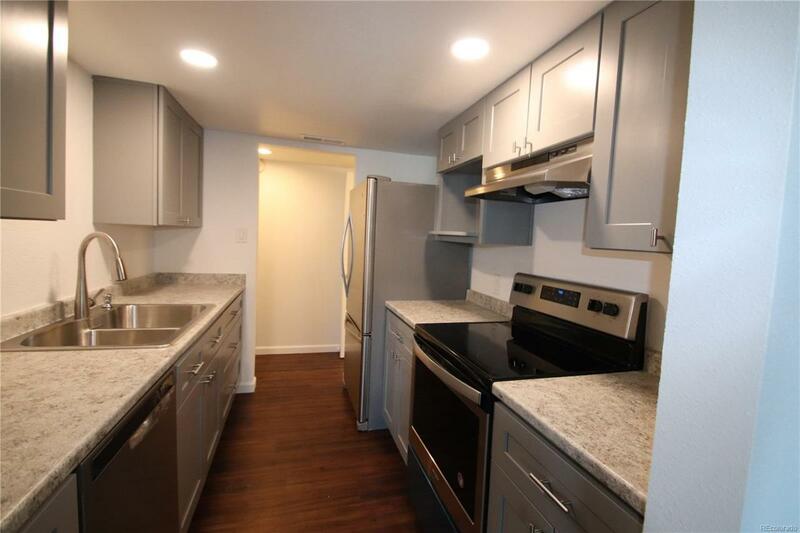 One deeded, covered parking space and bonus reserved space with annual fee. Public transportation close by! Call for private showing . Please all offers In by Sunday Feb 3rd, 8pm. Decision made by Monday, Feb 4th 6pm. Please no love letters accepted.